Last year, I outlined six goals for bringing “Justice to the Judge” and restoring Duke Slater to his rightful place among America’s sports legends. 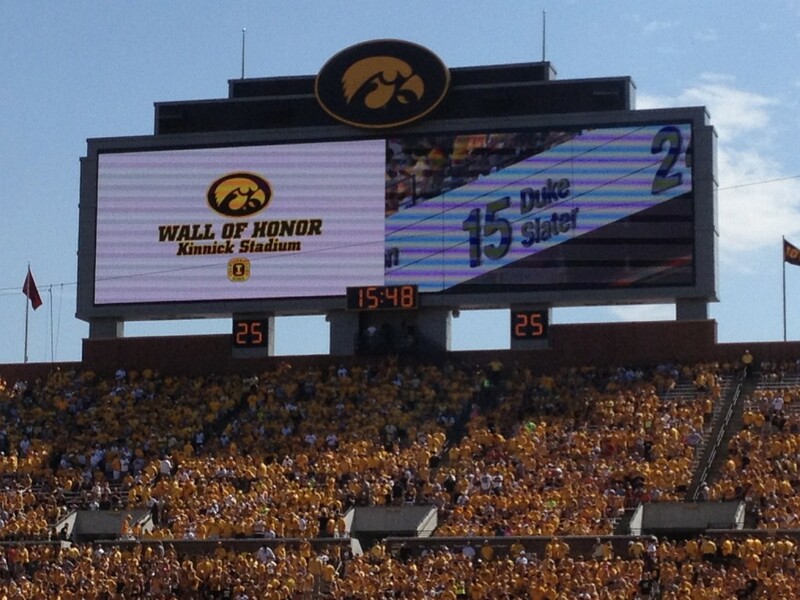 One of those goals was seeking a permanent recognition of Slater at the University of Iowa’s Kinnick Stadium. On August 31, 2013, I’m thrilled to say that the first of these six projects was completed when the school unveiled the University of Iowa Wall of Honor! 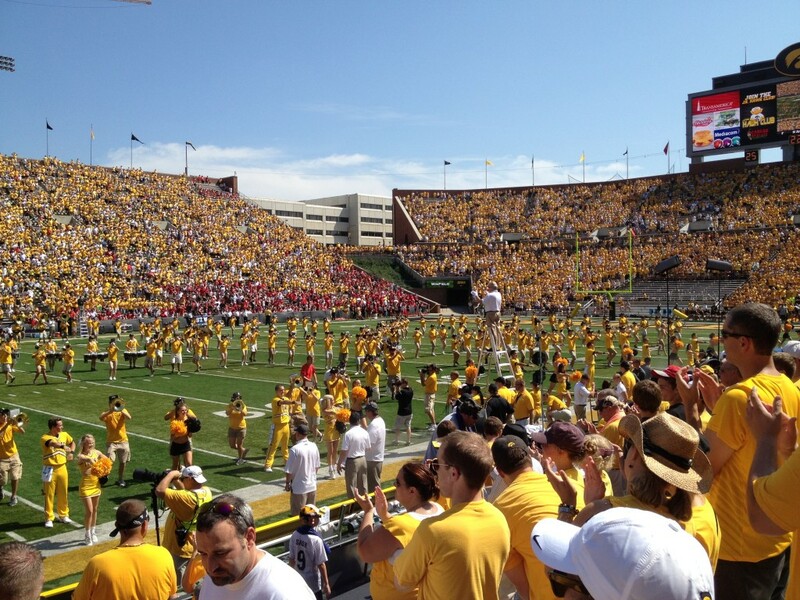 On August 31, 2013, the University of Iowa completed a Wall of Honor at Kinnick Stadium, not unlike the “Ring of Honor” that many stadiums across the country have. 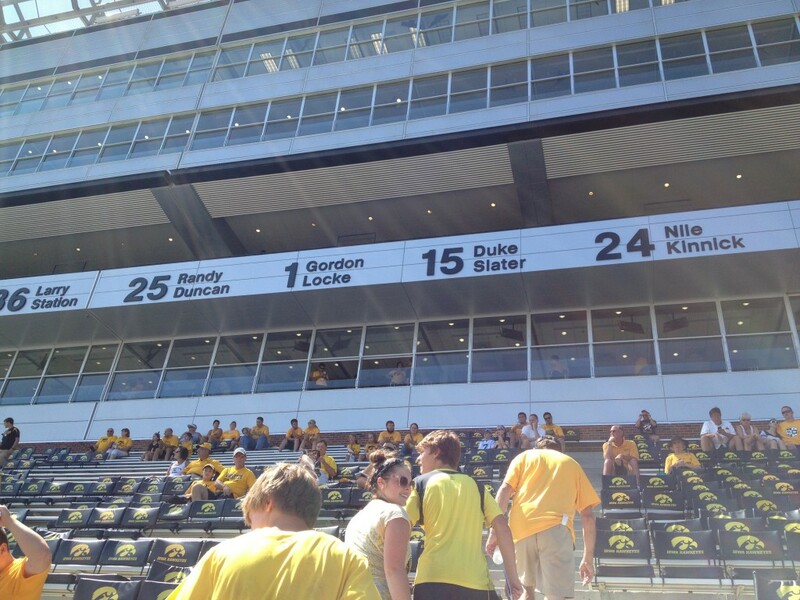 Enshrinement on the Wall of Honor is a supreme honor, as the athletes and their jersey numbers were permanently affixed on the Brechler Press Box at Kinnick Stadium. Nine Hawkeye athletes were chosen for the honor…the nine Hawkeye players currently enshrined in the College Football Hall of Fame. As I’ve discussed before, eight of those nine were consensus All-Americans, who each have their own plaque as Kinnick Stadium. But Duke Slater was slighted by Walter Camp in 1921, which prevented him from receiving consensus honors…and, consequently, a plaque of his own. n 1972, Duke Slater was held in such high regard that the president of the University of Iowa recommended renaming Iowa Stadium “Kinnick-Slater Stadium” in honor of Nile Kinnick and Duke Slater. 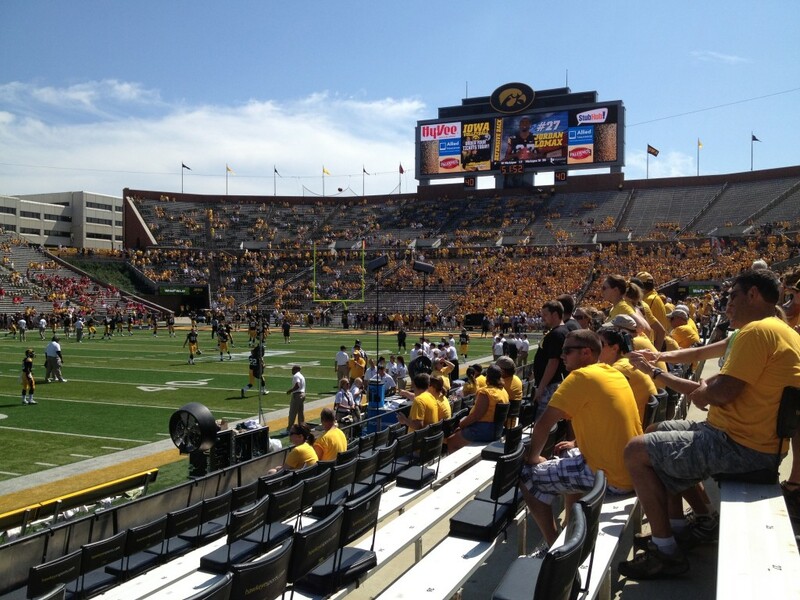 But the Kinnick supporters raised a fuss and got that idea scrapped, and for over forty years, Duke Slater remained exiled from Kinnick Stadium. Slater had no permanent recognition at Kinnick Stadium for decades, despite almost having the whole stadium partially named after him. That always seemed wrong to me, and on August 31, it was an oversight that was finally rectified. 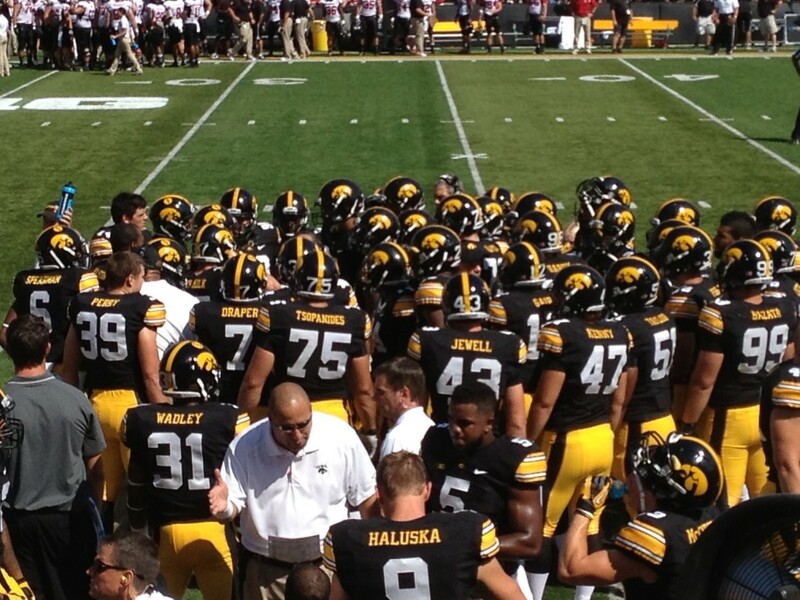 My wife and I made it to Kinnick Stadium and found our seats, which were fantastic. 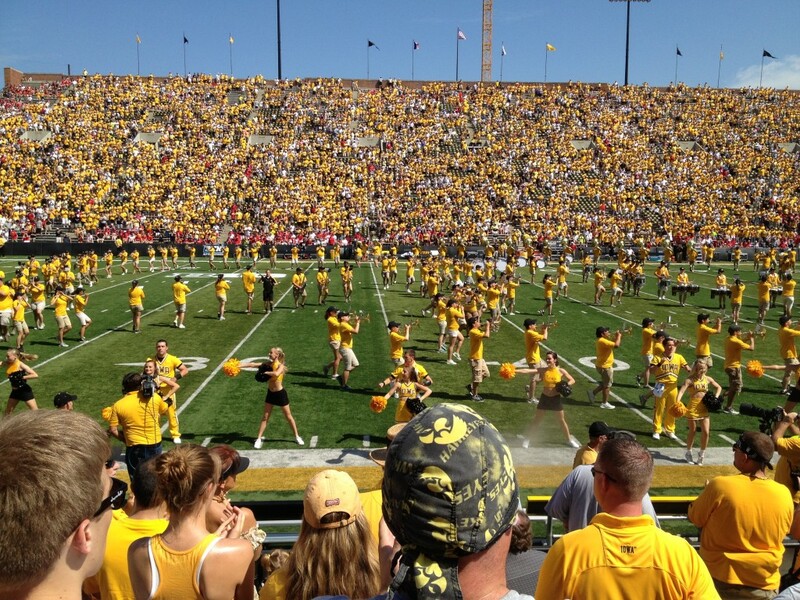 The usual pregame festivities included a performance by the Hawkeye Marching Band and warmups by the players. As promised, the Wall of Honor players’ names and jersey numbers were posted in a permanent display on the side of the Brechler Press Box. Duke Slater and his #15 were placed squarely between Gordon Locke – his teammate on the 1921 Big Ten championship team – and Nile Kinnick, the stadium’s namesake. 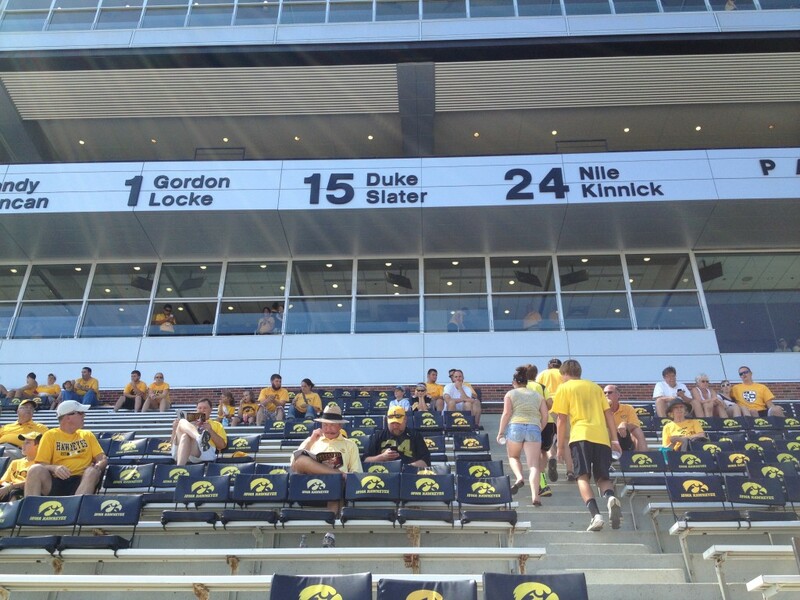 In an ironic twist, over 40 years after the “Kinnick-Slater Stadium” idea was scuttled, Duke Slater finally got his permanent recognition at the stadium that might have borne his name…right next to the man who surpassed him as the most beloved Hawkeye of all time. The Wall of Honor induction ceremony then began by introducing the nine players honored to the crowd. 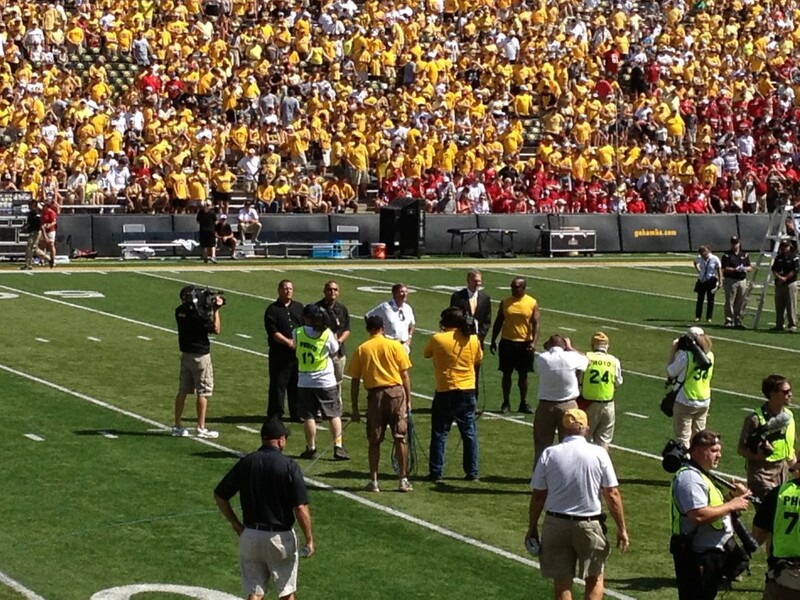 The three living Wall of Honor members – Randy Duncan, Chuck Long, and Larry Station – were recognized at midfield. 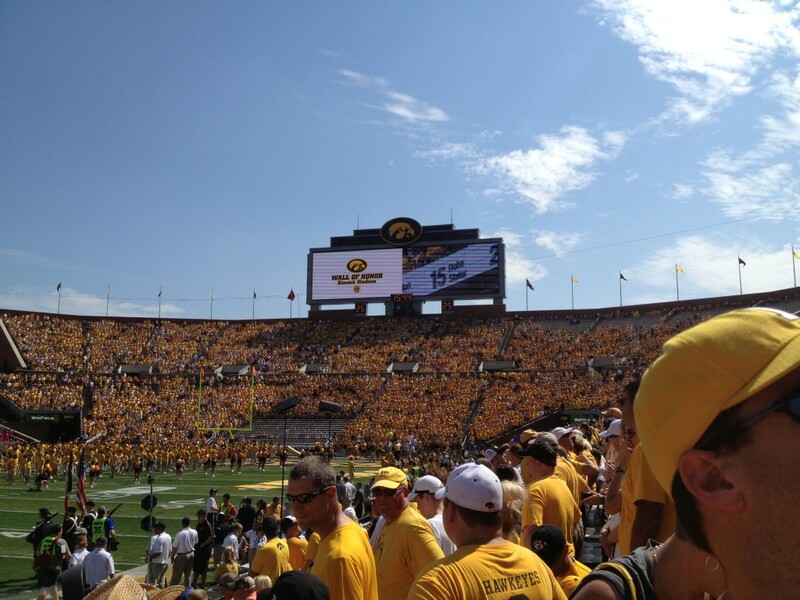 The Hawkeye fans exploded with one of the loudest ovations given to any of the inductees, save the ones in attendance…and of course, Nile Kinnick. Slater and his #15 jersey number will now be displayed on the Brechler Press Box at Kinnick Stadium for over 70,000 Hawkeye fans to see every Iowa home game. I’ve said it before, but I think this very visible tribute to Duke is exceedingly well-deserved. It’s my sincere hope that his name and jersey number on the press box might serve as a tipping point for some young fan somewhere down the line to ask who #15 Slater was and learn more about him. I’m so proud of the University of Iowa for recognizing Slater in this way, and I’m pleased to report that the first of the six goals we have for Duke Slater has been achieved! One down…five to go!